Lake Country Force 5.5" Pad Mix & Match 4 Pack features HYBRID Foam Technology. Improved Design to the HYBRID Foams with a New Grey Cutting Pad. Hybrid foams are specifically engineered with small cells and dense construction to keep abrasives in the chemicals close to the surface of the pad. This results in faster correction time as more polish stays on the working surface rather than being absorbed into the foam. Engineered for forced rotation and rotary machines. 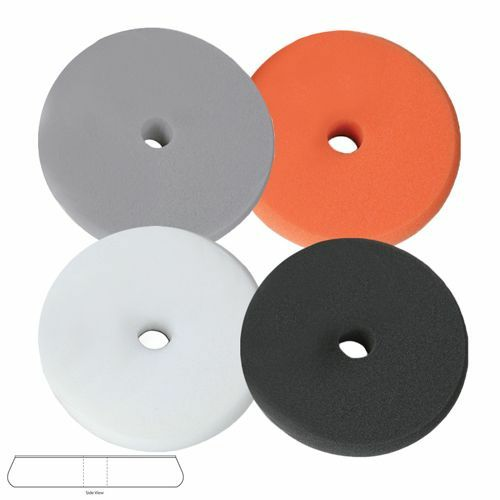 Tapered design and 1-1/4� (32mm) thickness provide a user experience unlike other pads on the market. 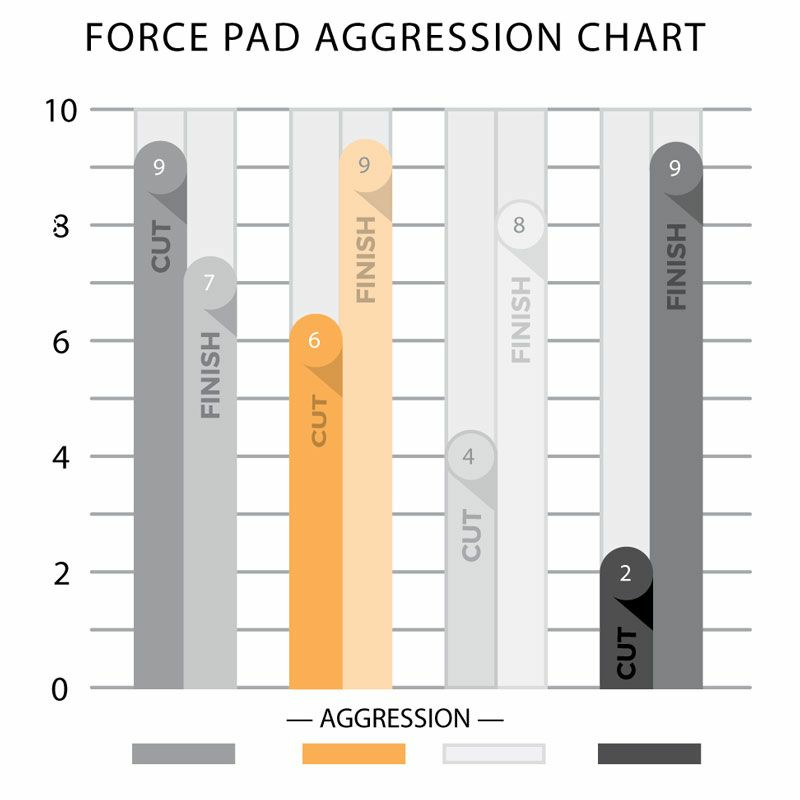 FORCE� pads use the same HYBRID foam technology and now combine a ventilated center hole for cooling and centering. 5-1/2� x 1-1/4� with 5� loop (with Center Hole) made to fit 4-3/8� or 5� backing plate. Use the drop down selections to choose your 4 pads.